The industry’s enthusiasm for the Claritas Investment Certificate has been confirmed through a pilot program, which was launched in January 2013. Over 3,300 candidates from 70 companies in 50 countries served as pilot participants. Feedback from pilot participants also supports the need for the program: 84 percent of participating employers said they would recommend the program to other employees, and 85 percent of employees who took the course would recommend it to colleagues. 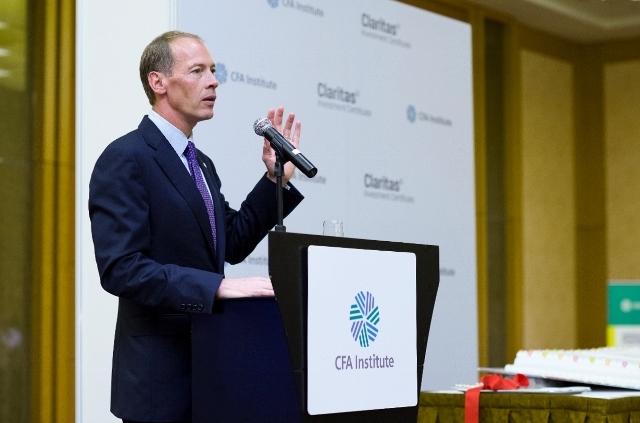 John Bowman, CFA, managing director and co-lead of Education for CFA Institute confirmed the organization’s commitment to establishing a new global education benchmark, “We have an obligation to be a proactive voice in restoring trust and raising investment acumen across the industry,” said Bowman. “The Claritas certificate is a visible and tangible step for any company that wants to demonstrate an institutional commitment to ethics, offering employees a strong opportunity to develop their skills and competence in the industry.